After another week off (and before yet another!) 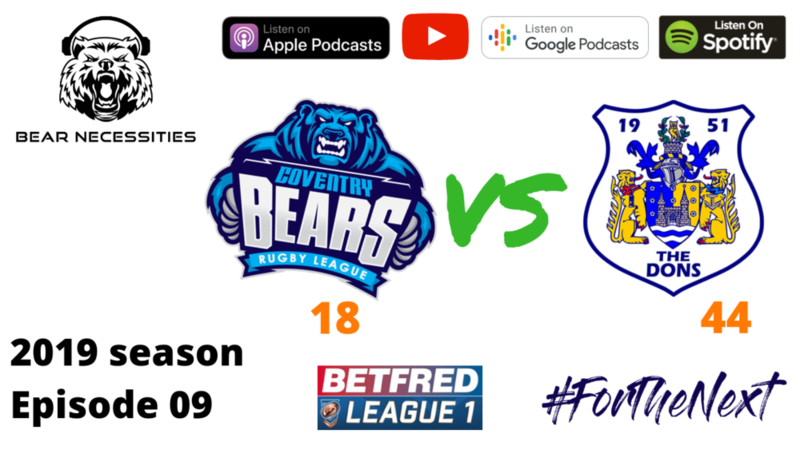 the bears headed to Doncaster for a tough afternoon that saw them win the sin-bin count, but unfortunately lose the game. We’ve got all the reaction from head coach Tom Tsang and offer our analysis on the match. On top of that, we also preview Good Friday’s Battle of the South when the Bears host London Skolars - yes, we actually have a home game! Not only do we preview stuff on the pitch, we also hear from Bears CEO about the European City of Sport takeover off it, where the club is welcoming local businesses to come and sample rugby league.